Public service announcement. Try this. I got sucked into one of those sketch FB ads that offer free samples with shipping. I was in a "why not" kind of mood. Plus, this was also how I snagged a pair of my favorite leggings. Anyhoo, I entered my "in case of spam" internet alias and alternate address. Glad I did. Natural luxe beauty products. I'm with it. Clean skin as normal. Apply. 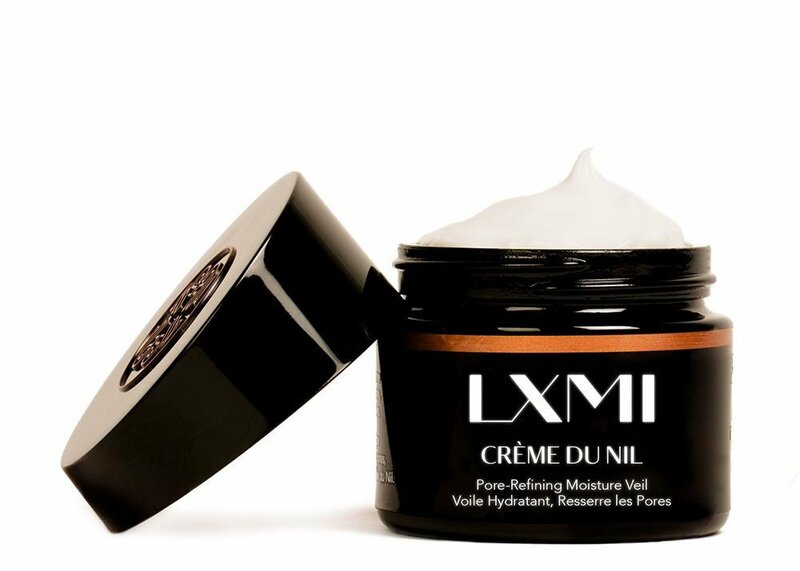 Results: Moisturizing, not too heavy (don't over apply) and super soft skin. And it's natural! As I get a little older, I'm getting quite par-ticular about what goes in and on my body. If I can't pronounce it...it doesn't go in or on. The only current exception is my NARs addiction. Don't judge me. Anyway check this out. Stay Posh! 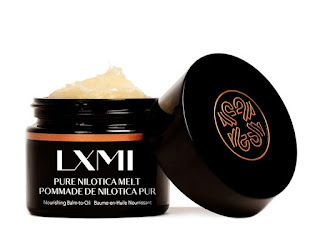 LXMI, pronounced luxe-me, was founded after Leila Janah (founder) had a chance discovery of Nilotica, LXMI's signature ingredient, at a market in Uganda. She was astounded by the rare butter's ability to transform her moisture-deprived, overly-traveled skin from lackluster to luminous. Btw LXMI is named after the founder's favorite Hindu goddess, whose four hands are thought to represent prosperity, liberation, morality, and love – two giving hands and two receiving hands. Get into it! Their Core beliefs are pretty awesome as well. The way we treat our skin – and people – matters. Giving work is the ultimate solution to global poverty. For the record I received NADA for this post. But should the beauty Gods be listening I would gladly accept a gift of their balm and report back.